Thousands of clandestine migrants have reached Europe in recent months, with increasing numbers arriving from war-torn Syria. 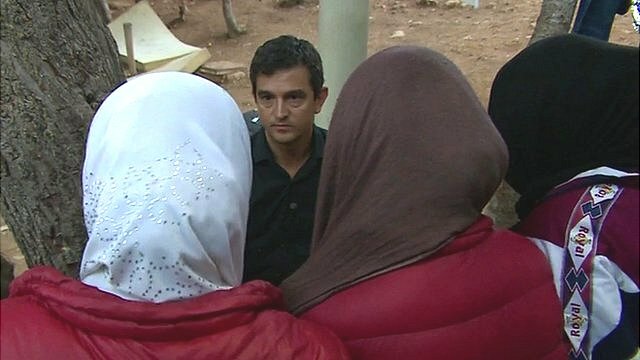 The BBC’s Matthew Price has been following the progress of one Syrian family who sought asylum in Austria after arriving on the island of Lampedusa in Italy. The little dark-haired boy is sitting bolt upright on a bench in a cafe just across the road from Vienna’s Meidling railway station. His puffer jacket is zipped right up to his neck. He is fast asleep. His younger sister is also trying to sleep, face down with her head on her arms on a table by the window. Their mother lights another cigarette, and draws on it nervously. Theirs has been the longest journey – and it is not over yet. Amal’s story tells us as much about the lengths people are prepared to go to escape insecurity in their home country as it does about Europe’s immigration system. The family entered Europe via the Italian island of Lampedusa. Under European Union law migrants should be processed in the country in which they first arrive. That is where any asylum claim should be considered. According to Amal though, parts of the Italian system allowed them to leave, and indeed actively encouraged them to go. The Austrian authorities have granted Amal and her family asylum but they are sending back many Syrians arriving through the Brenner Pass from Italy without the correct documents. 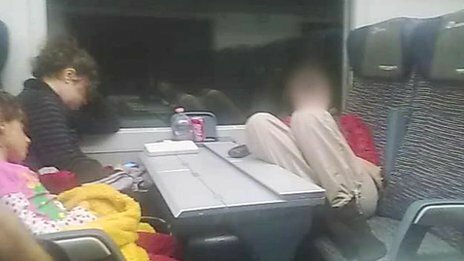 It is similar to what so angered the French government back in 2011 when Tunisian and Libyan migrants were being granted temporary permits that allowed them to skip across the border using the train from Ventimiglia in north-west Italy to Nice in France. Italian officials say without more help from the EU they cannot cope with the number of migrants reaching their shores at the moment. It is clear they are also trying to alleviate the pressure, by turning a blind eye to the rules that govern migration into the bloc. Their train pulled in from Bologna, Italy, a few hours ago. The family huddled together in a carriage, as they had been all night – not knowing what to expect when they arrived, not knowing whether they would arrive. In Italy, “they gave us a choice – to stay or leave,” says the mother, who asked not to be identified for fear of reprisals for her relatives left behind in their native Syria. We shall call her Amal. But “there is no way we could find work in Italy,” she adds. The economic situation there is just too tough. Like many migrants, they wanted to head north, to central and northern Europe. Tears begin to wet her eyes. “I want a better life and stability for my children, I want them to go to school and live just like other kids. The tears run down her cheeks. In the corner, her husband also starts to cry. JailedTheir journey together had started many years earlier. Amal married her husband, an architect, almost two decades ago. Their first child was born a few years later. Amal is a Muslim, her husband a Christian. From the start, they say they were persecuted because of their mixed marriage. So in 2000, they decided to move to Libya. They lived there for 11 years, until the revolution that overthrew Muammar Gaddafi started, and the country grew more and more unstable. So they returned to Syria, where they still owned two properties. “I was arrested when we landed at the airport,” says Amal. It was – she says – a post on a social media site, quoting an Arabic poet that drew her to the authorities’ attention. Amal received a three-year prison sentence as punishment for “endangering the country’s security and humiliating the government”, she says. Her husband sold their properties, and managed to bribe the judges on the case with $100,000 (£62,000). They reduced the sentence to eight months. As soon as she was released, the family was on the move again, helped by the rest of the money from the sale of their houses. 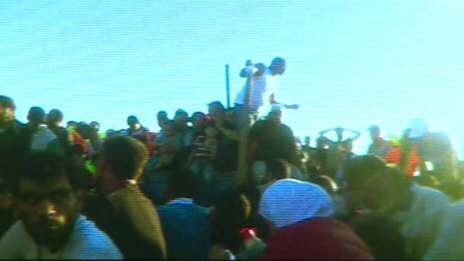 ‘Death trip’They flew to Egypt, and there contacted smugglers who got them back into Libya. They hoped to stay, but after a few months they realised the country was too unstable, and they asked the smugglers to take them to Europe. Then they boarded the boat for Europe. They arrived in Lampedusa “thanks to God”, says Amal. There they were housed in the island’s small refugee centre, overflowing with new arrivals. 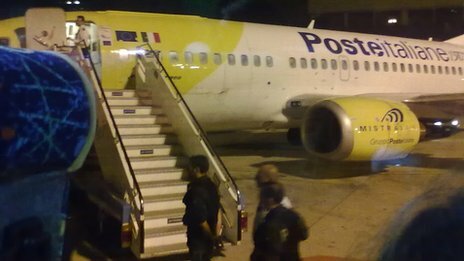 Then, after a few days, when space became available at another centre in Foggia, southern Italy, they were transferred by plane by the Italian interior ministry. Under European Union law, migrants should be processed in the country in which they first arrive. That is where any asylum claim should be considered. According to Amal though, people in some parts of the Italian system allowed them to leave, and indeed actively encouraged them to go. 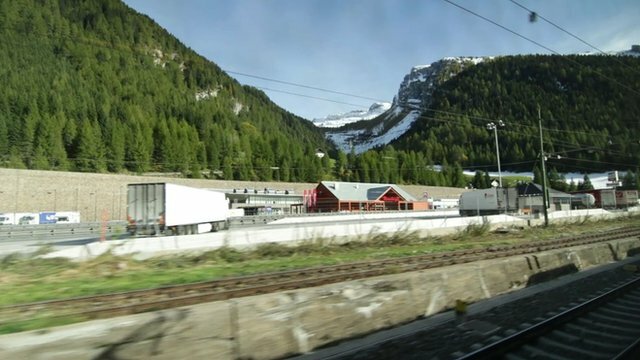 The Austrian authorities are sending back many Syrians arriving through the Brenner Pass from Italy without the correct documents. It is similar to what so angered the French government back in 2011, when Tunisian and Libyan migrants were being granted temporary permits that allowed them to skip across the border using the train from Ventimiglia in north-west Italy to Nice in France. Italian officials say that without more help from the EU they cannot cope with the number of migrants reaching their shores at the moment. It is the Arab countries “who forced us to leave”, she continues. If they took in Syrian refugees, families like hers would not have to “follow illegal ways to get here”. The coffee and cigarettes finished, they head outside once again, with one suitcase between them, containing all that they own now. They take the tram out of the city, to the asylum centre. The little boy kicks up golden autumn leaves on the pavement. “It’s very cold,” says Amal. Her younger daughter pulls a towel tightly round her shoulders for warmth. “I want my children to smile again,” Amal says. The wind whips up the leaves, scattering them. The sun is low in a hazy sky. That evening, Amal and her family formally request asylum in Austria. Since our correspondent last met them, and less than three weeks since arriving in Italy, Amal and her family were granted asylum in Austria. They are to be housed in a hotel until proper accommodation is found for them in Vienna. A man is rescued off the island of Lampedusa after a boat sank carrying hundreds of migrants sank off southern Italy.